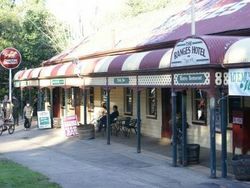 The Ranges Hotel at Gembrook in the foothills of the Dandenong Ranges has been a central point for the town since 1896. Mr John McMahon left his job as Mayor of Fitzroy in 1890 to seek a more peaceful atmosphere at Gembrook bringing with him the timber and fittings from an old church which had been demolished in that suburb. 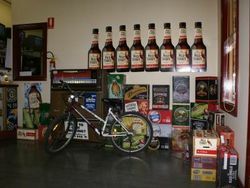 From them he built The Ranges Hotel to his own design. 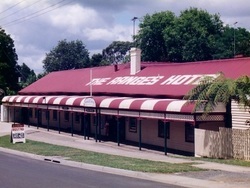 The Ranges Hotel is open for lunch from Tuesday to Sunday and dinner from Thursday to Sunday, and caters for birthdays, celebrations, weddings and other functions. 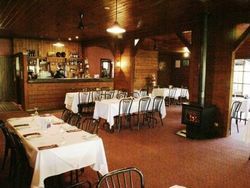 Our large Bistro with children’s play area and open fires has seating for up to 120 diners with direct access to the large shaded deck and beer garden, while The Bird Room also with an open fire and seating for up to 50 guests offers a wonderful alternative for that special romantic dinner.